ST. LOUIS (Legal Newsline) - Constitutional law professor Josh Hawley announced last week he is running for Missouri attorney general. He said in a video on his website he’s not a politician and isn’t part of the so-called “establishment” in Jefferson City. He said he believes Missouri deserves an “authentic” constitutional conservative in office. “We live today in a nation where, on almost every issue, liberals like President Obama ignore the Constitution, defy Congress, and force legal showdowns to get their way,” he said. Hawley served as co-counsel on the landmark U.S. Supreme Court case Burwell v. Hobby Lobby Stores. The June 2014 ruling by the nation’s high court allowed closely-held, for-profit corporations to be exempt from a law its owners religiously object to if there is a less restrictive means of furthering the law’s interest. 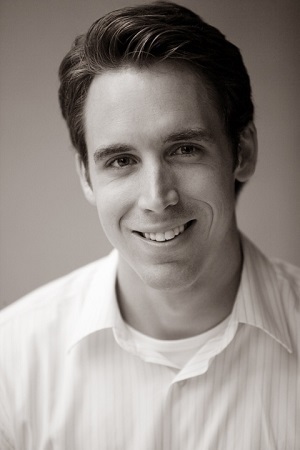 A native of Lexington in Missouri’s rural Lafayette County, Hawley earned his undergraduate degree from Stanford University and his law degree from Yale. He is a former clerk to U.S. Supreme Court Chief Justice John Roberts and Michael McConnell of the U.S. Court of Appeals for the Tenth Circuit. Prior to joining the University of Missouri faculty, he worked as an appellate litigator at Hogan Lovells US LLP in Washington, D.C. According to the Columbia Daily Tribune, Hawley is on an unpaid leave of absence for the rest of the academic year and has resigned from his position with The Becket Fund for Religious Liberty. Also running for attorney general: Republican state senator and former assistant attorney general Kurt Schaefer; Democratic state Sen. Scott Sifton; and St. Louis County Assessor Jake Zimmerman, also a former assistant attorney general. Current Attorney General Chris Koster, a Democrat, is not seeking re-election next year. He is running for governor, instead.